We are happy to announce not one but four Access User Group (AUG) meetings this month. This is a wonderful opportunity open to novice and professional developers to learn new tricks. Each webinar is free and you don’t have to be a member to participate. Interested in joining one of our virtual AUGs? We have groups across the globe in various languages. Sign up with free membership and receive email updates on future webinars held once a month. Once you have attended one of our meetings and gained a feel for how this works, we encourage you to apply for a chapter through our Contact Us form. Juan Soto, Microsoft Access MVP, will be talking about how Dashboards are a wonderful way to convey a wide range of data points into a consolidated view that will provide a quick glance of the operations of a firm. In other words, clients can look at the dashboard and quickly see if there are issues that require additional research. 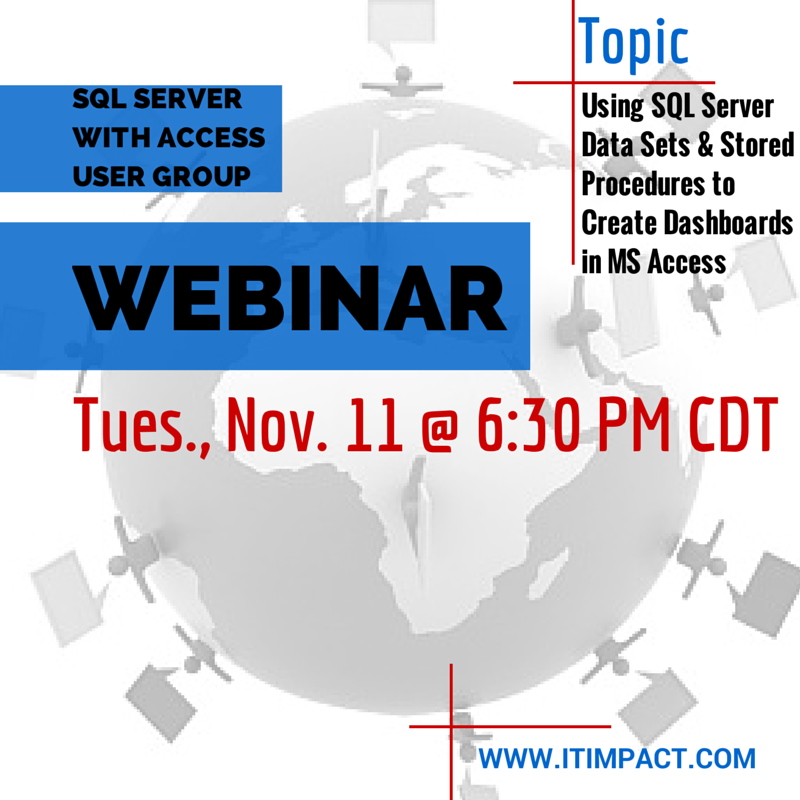 This session will do a deep dive into creating a simple dashboard using a SQL Server stored procedure, data sets and a temporary table, allowing participants to learn more about these concepts and use them with Access. 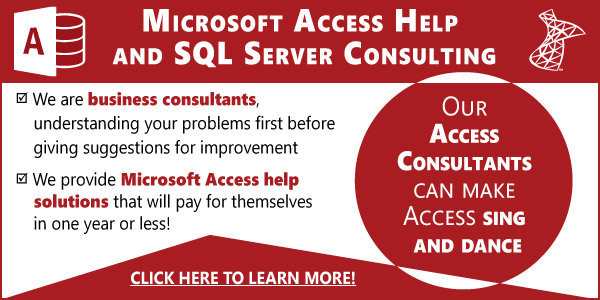 Exploring how to connect an Microsoft Access desktop database to your Web App so that you can produce printed reports. We will begin with a demo of setting up an Access Web App for our new members and then we’ll look at how to set up a reporting system for your online MS Access Web App data. The Access Web Apps users group holds monthly webinars the 3rd Tuesday of every month starting at 7 pm ET. Please see the Events Calendar for info on the next meeting and invite your friends! Conoceremos como podemos probar un web servicio SOAP, cuáles son sus principales características, algunas páginas que proporcionan servicios web, el uso de la librería MSXML para hacer la conexión desde MS Access, leer y guardar la respuesta. Únase a la reunión usando el enlace https://join.me/accessusergroups, una vez en la reunión presiona el icono de teléfono y seleccione ‘Call vía Internet’, una pequeña descarga puede ser requerido. César es Licenciado en Tecnología e Informática. Ha trabajado como “freelancer” y también en PwC (Price Waterhouse Coopers). Actualmente es funcionario público de la Secretaría de Educación Municipal. Dispone de canal propio en YouTube.